rt of Bangkok” Sukhumvit Bangkok’s prime location, the BelAire Bangkok provides contemporary accommodation, dining and relaxing option to match your needs. Service from the heart, with first rate facilities matched with a perfect location creates a memorable guest experience that is district and helps instill peace of mind. BelAire Bangkok, a boutique hotel feature 152 contemporary rooms including Superior, Deluxe, Club Tribeca and well-appointed BelAire Suites. Distinctive and comfortable accommodation mixed with creative “Service from the heart” ensures that your Bangkok visit for business or leisure is truly rewarding. Our hotel facilities include Club Tribeca, designed primarily for the business executive seeking a cut above in achieving goals or the vacation family who aspire to maximize their sojourn experience, Flexfitness gym, Blue Poolside Bar and Sukhavadee Spa (Operator independent of hotel featuring Authentic Traditional Thai Therapy and massage for guests who desire experiencing the benefits of holistic treatments. Our Sukhumvit located hotel food and beverage facilities are Tiffin, all day dining restaurant, Liquid Lounge Lobby Bar with internet pods, Blue Poolside Bar with great Thai dishes and BBQ (November –April), In—Room Dining (24 hours) all serve authentic dishes that nurtures and nourishes your soul. •	CLUB TRIBECA 3 Nights offer: 11,000 THB Net inclusive of club floor benefits and one way airport transfer. Valid for min 3 consecutive nights expect 1 July – 31 August 2015. Subject to availability. Not combinable with other offers. 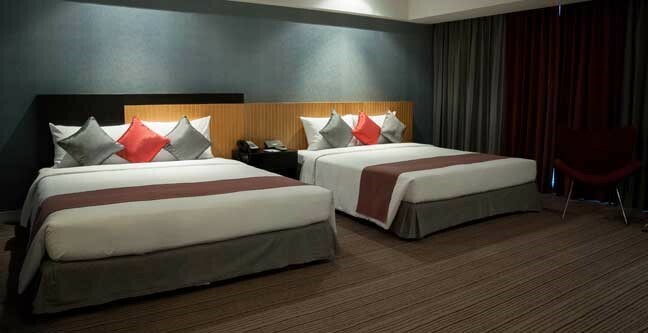 •	Superior Room (32m2) King Bed or Twin Beds setting for maximum 3 person occupancy provided with an extra bed. 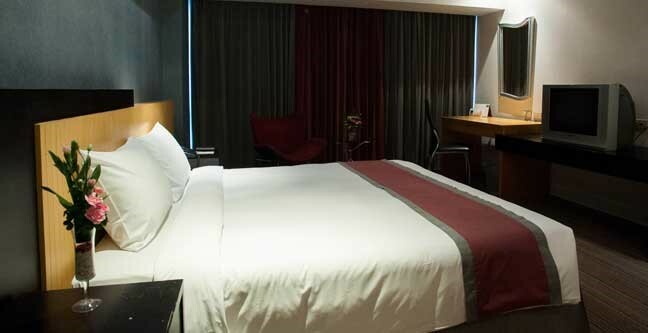 •	Deluxe Room (36 m2) King Bed or two Queen Beds setting for maximum 3 person occupancy provided with on extra bed. Three singles on limited availability. •	Club Tribeca Room (36 m2) King Bed or two Queen Beds setting for maximum of 3 person occupancy provide with an extra bed. Rooms are equipped with DVD player, writing desk, sofa bed. •	In room wireless internet access. •	IDD telephone lines with bathroom extension. •	All rooms are provided with coffee and tea making facility, fridge, bedside control panel, personal electronic safe and electronic door lock system. •	24 hours Room services. •	Mostly non-smoking rooms. Smoking rooms are also available in all room types upon request (subject to availability). 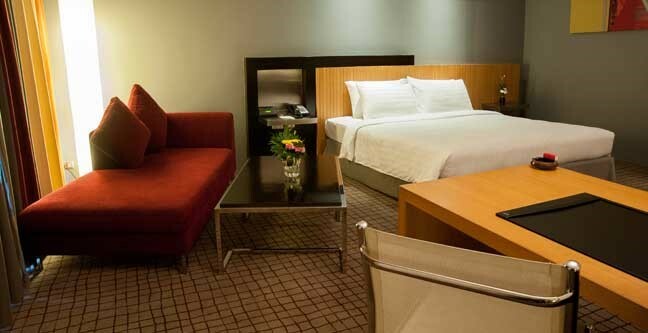 •	32 spacious and lavishly appointed rooms, located on higher floors, designed for both business and leisure travels. •	Oversized writing desk& Attractive sofa/day bed. •	Extra Breakfast: THB 320 nett per person per day: children: 6-11 years old THB 200 nett. Below 6 years is free of charge (FOC).